Notes from ProActive Chiropractic: Eat fats at every meal, especially the ones shown in the photo. No, not all fats are created equal so fried foods, trans fats/processed foods, and high fat/high sugar foods (think ice cream) should be avoided. Next time you’re downtown San Francisco ask us and we’ll recommend some healthy lunch spots for you to check out before or after your appointment. “According to a new study published Tuesday in The Lancet, researchers demonstrated that high carbohydrate intake was associated with an increased risk of mortality, and total fat, as well as individual types of fat, was associated with a lower mortality. This is a large study that spanned ten years and included 135,335 individuals 35 to 70 years of age from 18 countries in 5 continents. Macronutrient intake was recorded using food frequency questionnaires. Researchers assessed the association between the consumption of total fat, each type of fat, and carbohydrate intake with total mortality and cardiovascular disease. As a result, higher carbohydrate intake was associated with an increased risk of total mortality but not with the risk of cardiovascular disease or cardiovascular disease mortality. In addition, the total fat intake as well as each type of fat was associated with a lower risk of total mortality. Furthermore, higher saturated fat intake was associated with a reduced risk of stroke. 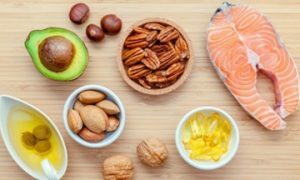 This large study demonstrates that fats are not significantly associated with an increased risk of a heart attack or cardiovascular disease mortality. It is important to keep in mind that in large cohort studies, dietary intake is reassessed over time and the participants can eat whatever diet they choose and then researchers obtain the recent or past dietary history of the participants. In a clinical trial, the study controls the dietary intake, which is more complicated than in observational studies where the participants control their own diet. There was also a review just published in Circulation last month in which researchers demonstrated that lowering saturated fats and increasing polyunsaturated and monounsaturated fats was associated with lower rates of cardiovascular disease. This review showed similar outcomes with fat intake and a reduced risk of cardiovascular disease, as well as carbohydrates not reducing cardiovascular disease. Fats make up the structure of our cell membranes, and fatty acid deficiencies contribute not only to cardiovascular disease but many other problems such as eczema, poor concentration, immune dysfunction, and chronic inflammatory disorders. Dietary fat, like any macronutrient, supplies energy. When assessing a patient, it important to look at the intake of all macronutrients. People who eat a lot of saturated fat generally eat less carbohydrates and unsaturated fat, and those who eat less saturated fat generally eat more carbohydrates or unsaturated fats. You cannot eat a lot of all the macronutrients and be healthy. The ideal amount of each macronutrient will be specific to each individual, their current state of health, existing conditions, goals, metabolic demands, and activity level. Source: Dehghan M et al. Associations of fats and carbohydrate intake with cardiovascular disease and mortality in 18 countries from five continents (PURE): a prospective cohort study. 29 August 2017. Pan, M.H. et al. (1999) Biotransformation of curcumin through reduction and glucuronidation in mice. Drug Metab. Dispos. 27(4):486-94.